Of all the trash that is tossed out in the country, paper and cardboard make up around 26% of that garbage. That breaks down to around 68 million tons of paper trash. Of that number, just 44 million tons was recycled. Ironically, it can all be recycled. That matters because air pollution can be reduced by 73% when paper is made from recycled product as opposed to from new materials. What does that translate into in terms of trees used to create paper products? The amount of paper that is trashed is the equivalent of 1 billion trees. What about glass like the kind used in jars? The average amount of glass trash is around 12 million tons. Of that amount, just one-quarter was recycled. Glass is one of those materials that is 100% recyclable. In other words, you can recycle it repeatedly without it losing any purity. For every ton of glass that is recycled, you can save a ton of natural resources. That’s a great trade off. The other important thing to remember about glass is that is never decomposes. It might be crushed but it doesn’t fade away. Whatever is tossed into landfills is going to stay there forever. 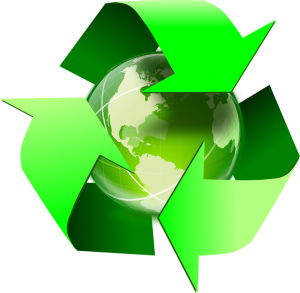 The goal with any recycling program is to keep as much out of landfills as possible. When it comes to tossing out junk from your home, you want to make sure what you’re getting rid of can be recycled, too. That can only happen if you partner with the right junk hauling service like Junk King Fort Worth. They’ve been keeping tons of rubbish out of landfills since they began collecting junk back in 2005. If you want to get your junk disposed of the right way, then turn it over to Junk King Fort Worth today. This entry was posted in Fort Worth Junk Recycling and tagged Junk King, junk removal, recycling on November 27, 2017 by Junk King. Last updated November 27, 2017 .